Comfortable t-shirt with a fun design that your little one is sure to love. 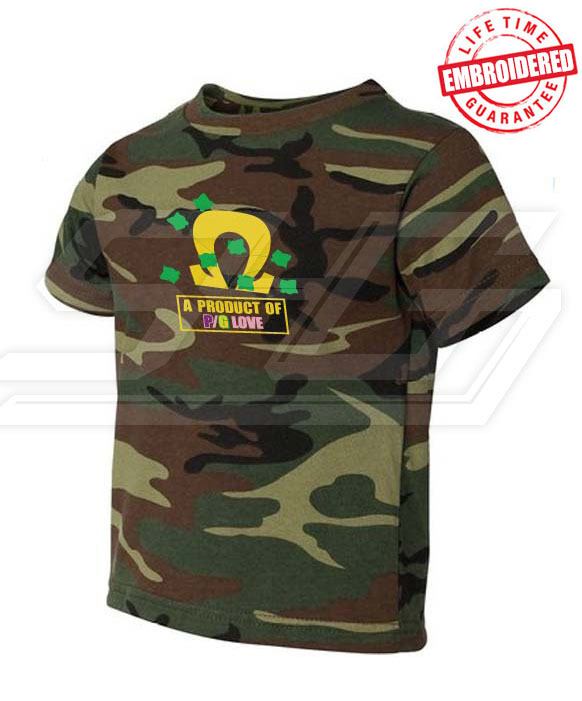 High quality t-shirt with front embroidery. 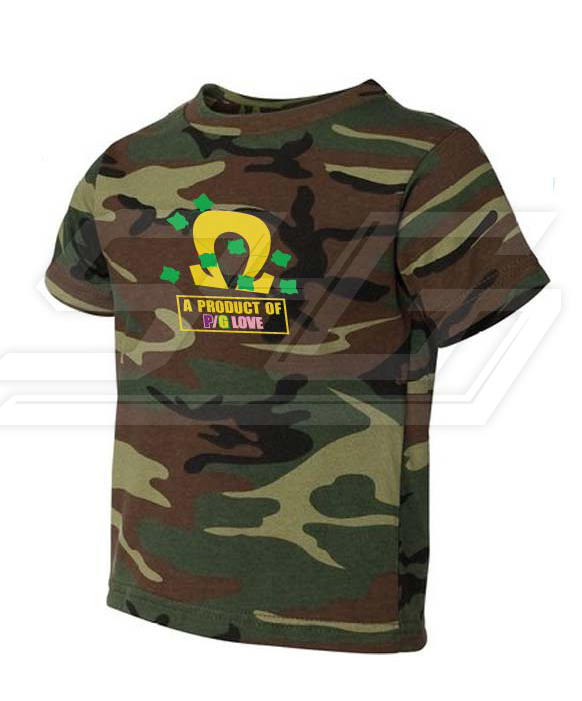 Green camo t-shirt with white letters. This design is embroidered, not screen-printed.The result is a higher-quality garment where the letters are stitched-on (sewn into the garment) and the image will never fade, crack, nor peel.